Carpet Tiles that beautify your home, enhance design and décor,meet your specific comfort, performance and budget needs, are easy to care forand stand the test of time. 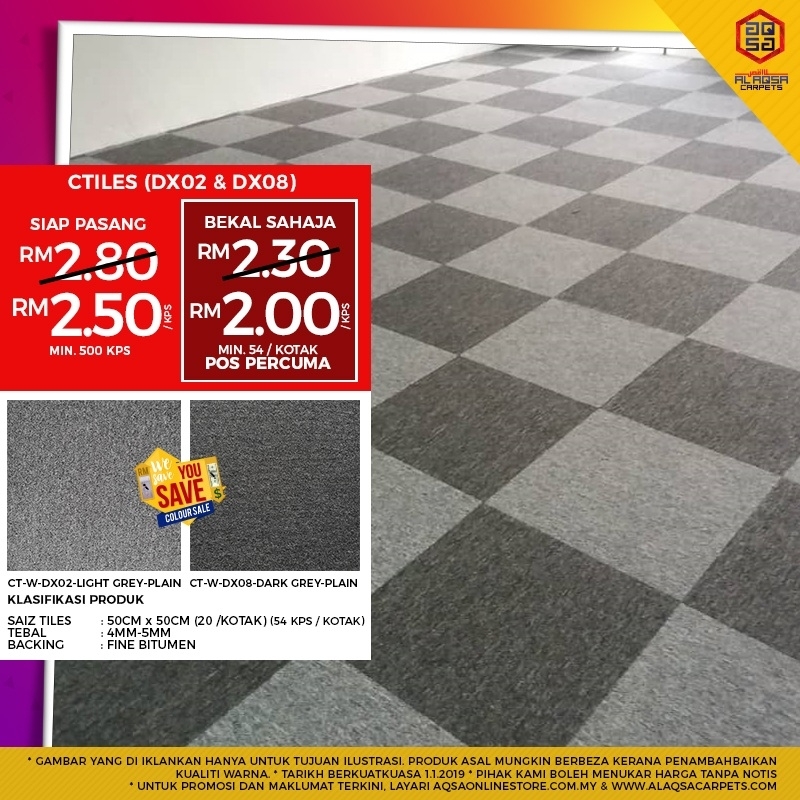 Now, Carpet tiles just from RM2.00/sqft with our WeSave You Save Promo! !